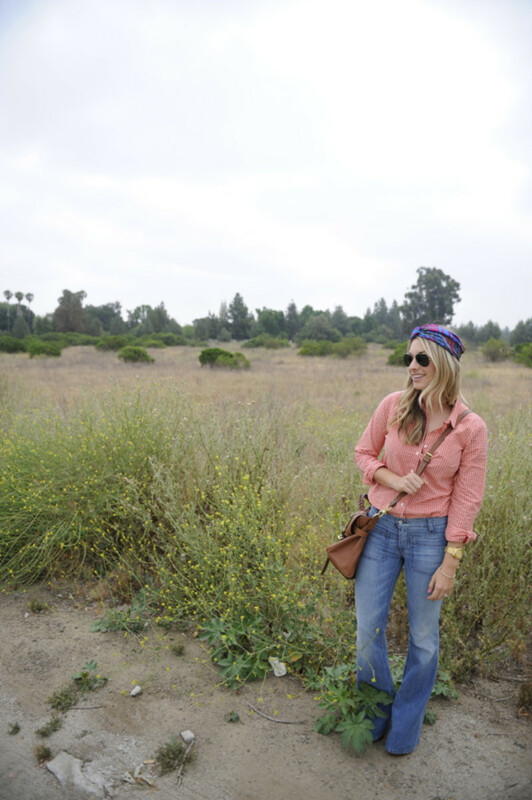 When it comes to denim, I&apos;m usually one for skinny jeans, a billowy top and ballet flats. But once in a while, it&apos;s fun to channel more of an Americana vibe with a gingham button-down, light-colored flares and aviators. The vintage scarf kept it from looking too wild west, even though the surroundings after a spontaneous road trip begged otherwise.